Seven Sweet Scoops is the newest and hottest column by Chad Lykins, the RTC recruiting analyst. He will discuss the seven top stories from the week in the wide world of recruiting, involving offers, which prospect visited where, recent updates regarding school lists, and more chatter from the recruiting scene. You can also check out more of his work at RTC with his weekly column “Who’s Got Next?”, as well as his work dedicated solely to Duke Basketball at Duke Hoop Blog. You can also follow Chad at his Twitter account @CLykinsBlog for up-to-date breaking news from the high school and college hoops scene. 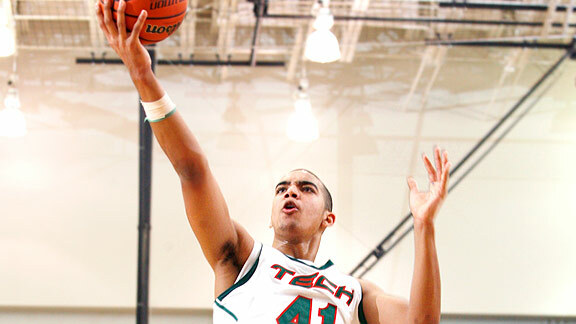 Arsenal Technical High School (Indiana) five-star power forward Trey Lyles has narrowed his list of schools down to six. Lyles, the No. 5 overall ranked prospect from the class of 2014, is down to Butler, Duke, Florida, Kentucky, Louisville and UCLA. “I’m just focused on those schools,” Lyles said in an interview with the Indianapolis Star. “I like the style they play, they have rich legacies, have good coaches and I feel like I could be comfortable at any of them.” The 6’9″ Lyles, a former Indiana commitment, recently took a visit to Lexington this past weekend for the Wildcats’ SEC clash against Auburn. He was also on the Kentucky campus for their Big Blue Madness festivities in October. He has also taken trips to in-state Butler and Louisville and will plan to take official visits to Duke, Florida and UCLA at the conclusion of his junior season. He is currently averaging 22 points, 17 rebounds and seven assists for Arsenal Tech this season. 2013 Missouri point guard recruit Travis Jorgenson de-commited over the weekend. “I just think that he wanted to open it back up because he wasn’t comfortable signing right away,” his summer coach L.J. Goolsby told Rivals.com. “It’s nothing against Missouri, he loves Missouri, he grew up there. 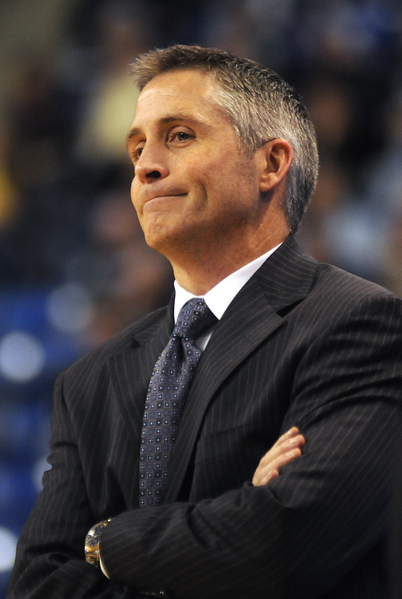 He committed so early that he wanted to go through the process and be sure that he made the right decision.” Missouri already holds a commitment from another point guard in the 2013 class, Wesley Clark. There could be a mass exodus in the Tiger backcourt after this season, so Frank Haith may need as many guards as he can accumulate to feel comfortable with the depth chart. Speaking of Missouri’s backcourt depth, Haith suspended starting guard Mike Dixon and freshman Dominique Bull indefinitely for what he is calling a violation of team rules. While Dixon had struggled academically, Haith refused to go into depth on the reasoning of the suspension. He also wouldn’t commit to a timetable on a possible return. “The time frame will also depend on the player and their response to adversity,” said Haith. “It’s more about the everyday choices we make and the cumulative impact it has on the ability to be good stewards on the Mizzou brand.” Dixon is expected to start for the Tigers alongside preseason All-American Phil Pressey. In his absence, transfer Keion Bell will see extended minutes. On Monday, we ran through Coach John Calipari’s practice report observations, and now we get his opinion on the Wildcats’ intra-squad scrimmage. Just as in practice, Calipari continues to experiment with different lineups and using off guard Archie Goodwin at the point position. Goodwin is excelling with the ball in his hands, possibly insinuating that the speedy freshman could be the leading scorer for the Wildcats this season. Calipari has been impressed with Goodwin’s ability to score with his quick first step and ability to create off the dribble. The 6’3″ guard scored 16 points in a 20-minute scrimmage yesterday after impressing with a game high 32 points in the Blue/White scrimmage last week. Tennessee played in one of the well publicized “secret scrimmages” against the Georgia Tech Yellow Jackets this past weekend, coming away with a 20+ point victory. Cuonzo Martin left the game with an observation that even my wife could pick up on after watching a couple of minutes of UT. “We have to get the ball to Jarnell,” Martin said. “He can’t get the ball enough. We have to overload and let the offense play through him. Really, he can’t get enough touches. We’ve got to get it to him.” Jarnell is of course, Jarnell Stokes, Tennessee’s 6’7″ power forward who is ready for a breakout year in the post. Stokes played in just 17 games for the Vols last season but looked incredibly polished even after missing the first half of the year because he was still in high school. If only Martin can figure out a strategy to get him the ball. After forward Cody Larson made the decision to leave the Florida Gators to focus on his academics and personal life, Billy Donovan extended an opportunity to welcome Larson back to the team. “If there’s anyone who knows about changing his mind, it’s me,” said Donovan, poking fun at his own indecision regarding an offer from the Orlando Magic in 2007. “I think right now for Cody if he legitimately felt like you know what, a week, two weeks from now, I miss this, I made a huge mistake, we’re not bringing anyone in right now, he could come back to our team.” Larson had his scholarship revoked by Donovan last spring, but his 6’9″ frame would provide the Gators with a much needed commodity — size. While he was not a major contributor last season, Donovan could use more depth in the low post knowing center Patric Young’s affinity for fouling. Who’s Got Next? is a weekly column by Chad Lykins, the RTC recruiting guru. Once a week he will bring you an overview of what’s going on in the complex world of recruiting, from who is signing where among the seniors to discussing the recruitments of the top uncommitted players in the country. We also encourage you to check out his contributions dedicated solely to Duke Basketball at Duke Hoop Blog. You can also follow Chad at his Twitter account @CLykinsBlog for up-to-date breaking news from the high school and college hoops scene. If you have any suggestions as to areas we are missing or different things you would like to see, please let us know at rushthecourt@yahoo.com. After making an official visit to the Baylor campus for their “Midnight Madness” festivities nearly two weeks ago, small forward prospect Ishmail Wainright made it official last Thursday evening by verbally committing to the Bears. Wainright, the No. 26 ranked prospect in the ESPN 100, picked Baylor over Ohio State, St. John’s and Texas. A Missouri native, the 6’6″ Wainright was formerly a Missouri commitment back in May 2011. At the conclusion of that summer, he decided to reopen his recruitment after a successful AAU campaign. As Wainright began the recruiting process all over again, over 30 of the top schools in the country reached out to the Missouri small forward. With his recent commitment to Baylor, Wainright will join power forward Jonathan Motley as the only two commitments for the Bears from the class of 2013. When describing Wainright’s overall game, he is a tremendous athlete and one of the most physically imposing small forwards at the high school level. On the offensive end, Wainright does most of his damage scoring around the rim, either in transition or driving to the basket when creating for himself off the bounce. He is also a great passer with even better court vision. He has a knack for making the right play at the right time when creating opportunities for his teammates to make plays. A glaring weakness of his offensive game, however, has been his shooting. Prior to the summer, Wainright was not a good shooter. Most defenses took note of that fact by playing him loosely, forcing him into taking shots from the outside. As exhibited during the early recruiting period in the summer, though, Wainright showed an ever improving jump shot. To round out his game, Wainright needs to make it a point to continue working on his shooting touch before ending up on the Baylor campus. On the defensive end, Wainright is as good as they come. 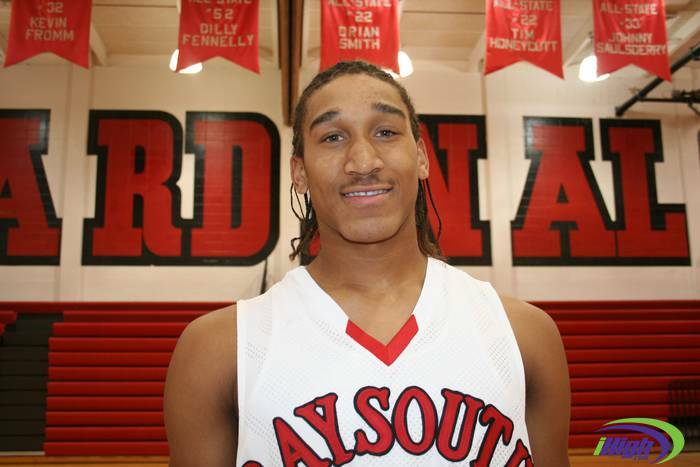 With great length, strength and athleticism, Wainright is arguably one of the best defenders from the class of 2013. 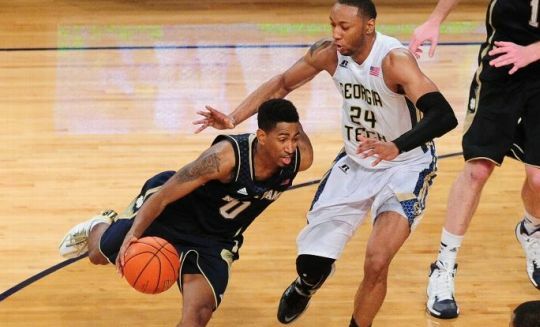 He can guard multiple positions on the floor in part due to his great frame. He is a nightmare for the opposition and will continue to be well into his college career.